• Before he even threw a pitch in a spring training game for the Colorado Rockies, Canadian reliever John Axford (Port Dover, Ont.) was added to the club’s 40-man roster on Monday. The move means that the 6-foot-5 right-hander, who had signed a minor league contract on February 2, will make $2.6 million this season and he’ll likely serve as the setup man for closer LaTroy Hawkins. 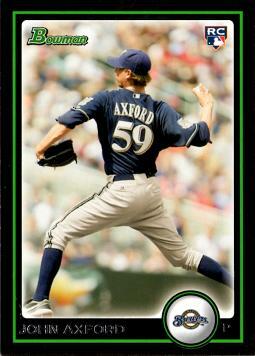 Axford is heading into his seventh big league campaign. He split 2014 between the Cleveland Indians and Pittsburgh Pirates and posted a 3.95 ERA in 62 games. • This is a make or break spring training camp for Canadian right-hander Phillippe Aumont (Gatineau, Que.) with the Philadelphia Phillies. The 6-foot-7 right-hander, who has averaged 6.1 walks per nine innings in parts of three major league seasons, is out of minor league options. The 26-year-old hurler spent most of 2014 with the Triple-A Lehigh Valley Iron Pigs and struck out 65 in 55 innings, but he also walked 39 batters. He has enjoyed stints with the Phillies in each of the past three seasons and has posted a 6.13 ERA in 45 appearances. • An interesting player to watch in Toronto Blue Jays camp is first baseman Daric Barton. So far, the former A’s infielder, who signed a minor league deal with the Jays in December, is living up to his Moneyball reputation. He recorded a walk in the Jays’ first two spring training games and the Blue Jays had him batting leadoff in yesterday’s matchup against the Phillies. In 2010, Barton, who’s also an above-average defender, walked an American League-best 110 times and finished with a .393 on-base percentage. Over the past four years, he has been shuttled between Triple-A and the majors but he has maintained a high on-base percentage (his career minor league OBP is .405). Though he’s played first base in recent years, Barton began his professional career as a catcher and can also man the hot corner. • As we prepare to celebrate the 30th anniversary of the Blue Jays’ 1985 American League East division-winning squad, it’s great to see that rifle-armed outfielder Jesse Barfield has joined Twitter. You can follow him @jessebarfield29. • SABR member Karl Cicitto recently interviewed Mike Sandlock, who at 99 is the oldest living ex-major leaguer. Sandlock, who was a catcher/infielder for parts of five big league seasons with the Boston Braves, Brooklyn Dodgers and Pittsburgh Pirates, also suited up for the International League’s Montreal Royals in 1947 and 1948. In Montreal, he competed alongside Hall of Famers Roy Campanella and Duke Snider and caught future Cy Young Award winner Don Newcombe. You can read Cicitto’s interview with him here. • Thank you to Adam Morissette of Baseball Canada for compiling this list of the 22 Canadians in big league spring training camps. The Blue Jays lead the way with five Canadians – Russell Martin (Montreal, Que. ), Michael Saunders (Victoria, B.C. ), Jeff Francis (North Delta, B.C. ), Andrew Albers (North Battleford, Sask.) and Dalton Pompey (Mississauga, Ont.) – vying for roster spots. • To no one’s surprise, Colby Rasmus is still moping. The 28-year-old outfielder, who batted a disappointing .225 in 104 games for the Blue Jays in 2014, told Rick Hummel of the St. Louis Post-Dispatch that he only plans to play four more seasons. Apparently the Rogers Centre turf is one of the reasons he’ll retire early. “I’m getting a little older now,” Rasmus told Hummel. “I’ve been taking a beating on this body. I’m a lot older than I used to be. Playing on that turf in Toronto was pretty tough. It has a nice slab of concrete underneath and I was diving on it. I didn’t baby myself and take it easy. It’s a tough game. A lot of stuff goes on. I haven’t got much more in me.” Rasmus signed a one-year, $8-million contract with the Houston Astros in January. • This week’s trivia question: Can you name the three Cy Young Award winners in Toronto Blue Jays camp this spring? Please provide your answer in the “Comments” section below. The first person to provide the correct answer will receive an autographed baseball card of the eldest of these three pitchers. Is it Pat Hentgen, Johan Santana and R.A. Dickey? You’re correct, Brent. I have a Pat Hentgen autographed card that I will mail out to you. Thanks again. I really hope Santana can make the club even as a long man. It’s always good to hear Jesse Barfield news!! Thanks for the comment, Devon. I agree with you. I love to hear about Barfield. such great news for Axford. Great guy. Let’s hope Phillippe can get his pitches under control. Poor Colby.